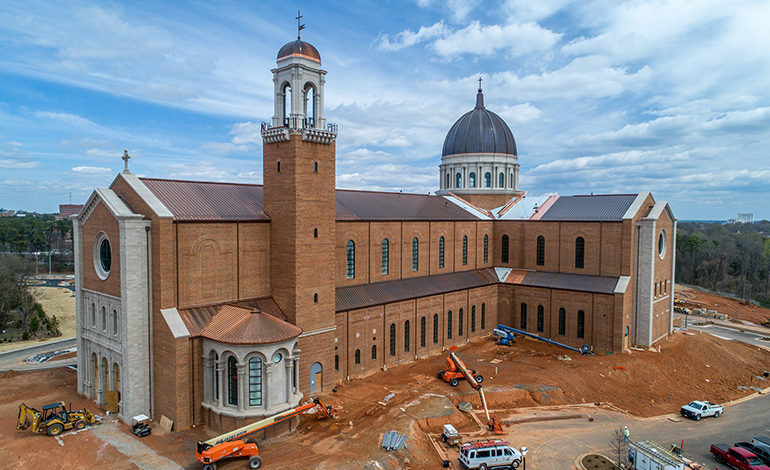 In 2009 as the Catholic Diocese of Raleigh began to make preparations for their new cathedral on the former Cardinal Gibbons High School property they selected McAdams to assist with land planning and site due diligence phase for this significant project. McAdams was selected because of our intimate knowledge of the City of Raleigh regulatory approval process and because of the significant development entitlement experience McAdams has within the City of Raleigh. The site planning and approval process for the 39-acre campus was particularly challenging, as it included a minor amendment to Raleigh’s Small Area Plan for this region, based on the proposed use and the Pullen Road Extension. McAdams served as the primary lead to coordinate with the Diocese, Raleigh Planning, RDOT, NCSU University Architect, NCSU Centennial Campus and NCDOT in order to achieve resolution on the roadway network and cost-sharing arrangement for Pullen Road Extension. 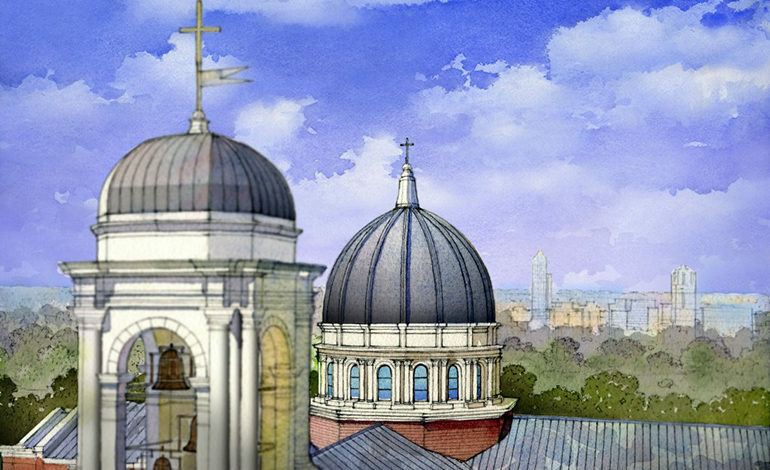 Nearly five years after McAdams and its key teaming partner, architect O’Brien & Keane, developed the initial land plan for this new campus, the building permits were issued for the Holy Name of Jesus Cathedral. Mr. James O’Brien is the architect of record for this new cultural monument for the City of Raleigh.